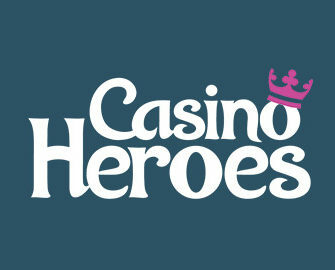 Casino Heroes – House Of Doom Island! Play for a head-banging experience! Claim Free Spins on deposit and win tickets to the Sweden Rock Festival! A new island has opened at Casino Heroes and the Boss is in generous mood. Playing on House of Doom this week will have the top scoring players winning tickets to the Sweden Rock Festival 2018 in Solvesborg from 7th to 9th June 2018. He will even throw in a signed guitar, travel and accommodation for the top scorer. Get ready to spin! Exclusive for players from Sweden, Norway, Finland, Germany, Netherlands, UK and Northern Ireland, take part in a 11-day race on House of Doom from Play’n GO to win bragging rights and tickets to Sweden’s biggest rock festival in Solvesborg from 7th to 9th June 2018. While you compete against your fellow players, you can also claim Free Spins on deposit for a variety of thrilling games. Terms and conditions apply. 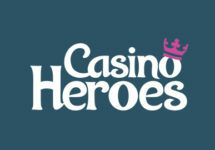 For this occasion, Casino Heroes launched the House of Doom Island with three rooms, three boss fights and plenty of extra rewards. Each room must be consecutively completed and the boss defeated to progress on the journey. Score one point for every spin on House of Doom with minimum €0.20 / spin. The TOP3 scoring players by midnight on 11th May 2018 will win the following prizes for the Sweden Rock Festival 2018 in Solvesborg. No cash alternative can be offered for the prizes. 1st prize: Signed guitar, two 3-day passes, travel and accommodation (camping and tent) for two people and two t-shirts. 2nd prize: Two 3-day passes and two t-shirts. Deposit €10 to instantly receive 20 Free Spins on Lucha Maniacs after the deposit is completed. Offer can be claimed once per player. Wagering requirement is 40x FS winnings within five days, subject to the Casino Heroes bonus terms and conditions. Deposit €10 to instantly receive 20 Free Spins on White Rabbit after the deposit is completed. Offer can be claimed once per player. Wagering requirement is 40x FS winnings within five days, subject to the Casino Heroes bonus terms and conditions. Deposit €10 to instantly receive 20 Free Spins on Claws vs. Paws after the deposit is completed. Offer can be claimed once per player. Wagering requirement is 40x FS winnings within five days, subject to the Casino Heroes bonus terms and conditions. Launched in 2014, the casino is operated by Hero Gaming Limited under Curacao and MGA Malta licenses. The games are available on desktop, mobile and tablet, being provided by Netent, Betsoft, Big Time Gaming, Elk Studios, Fantasma Games, JustForTheWin, Lightning Box, Microgaming, Play’n GO, Playson, Push Gaming, Quickspin, Rabcat and Yggdrasil. The Live Casino tables are powered by Evolution Gaming.